When Super Mario was riding he divided opinion and now that he’s making bikes he’s still at it. The two bikes that we’ve seen before from his range, the RB1000 and the RB800, are expensive and aggressive – great if that’s what you want – but now that the brand is a little more established we’ll see what it can really do with the less ‘full-on,’ race-oriented Bond. Bond as the name suggests is bonded together, as are plenty of other bikes, but it’s Cipollini’s first move away from a full monocoque construction and it’s resulted in a very different way of doing things. 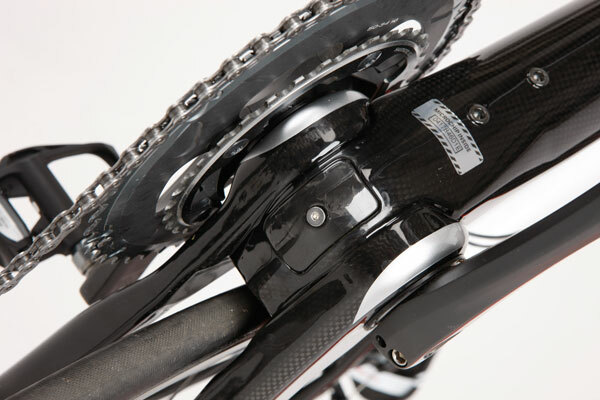 The left and right chainstays are constructed separately from each other while the seatstay is one piece. These parts are then bonded on to the front monocoque. The unique part is that the chainstays include the half shell of the bottom bracket. As well as a cost saving, this change from the norm doubtless brought many interesting dilemmas for the engineers but should mean that drive to the rear wheel is about as direct as possible since the chainstay is one piece from the BB to where it meets the dropout. 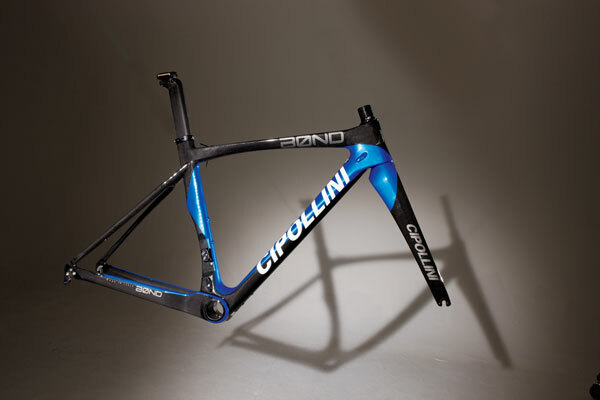 Cipollini has stuck to his roots with the Bond as it’s still made in Italy, just like the rest of the range. With a swing tag of £2,500 you get a choice of six sizes from extra small to extra extra large, a frame made from T700 carbon, a fork, headset and another first for Cipollini, a seatpost rather than an integrated mast. All the four colours are safe bets coming in predominantly silver, blue, red or white. To go with the less aggressive geometry the head tube has been slightly extended and the top tube shortened a touch, resulting in a medium frame with a 540mm top tube and 132mm head tube, making the sportive-friendly Bond still plenty low enough for racing. Here’s one you might have missed from the Cipollini range – the imaginatively and hopefully aptly named Speed. 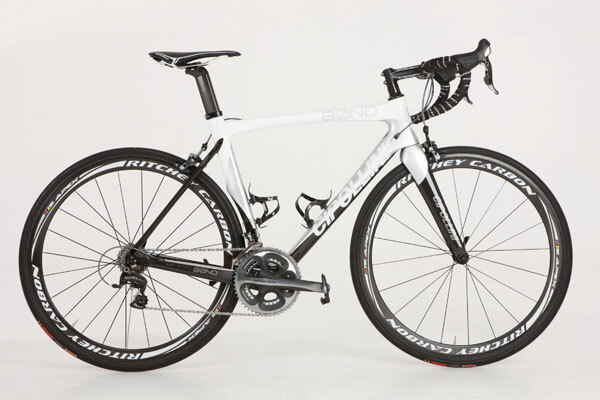 Track bikes always catch the eye thanks to the clean lines and the Speed adds its sculpted lines to the range for 2013. This article was first published in the April 25 issue of Cycling Weekly. Read Cycling Weekly magazine on the day of release where ever you are in the world International digital edition, UK digital edition. And if you like us, rate us!